Piercing the heart of a globular star cluster with its needle-sharp vision, NASA's Hubble Space Telescope has uncovered tantalizing clues to what could potentially be a strange and unexpected population of wandering, planet-sized objects. In results published this week in NATURE, the international science journal, Kailash Sahu (Space Telescope Science Institute, Baltimore, MD) and colleagues report six unusual microlensing events inside the globular cluster M22. Microlensing occurs when a background star brightens momentarily as a foreground object drifts by. The unusual objects thought to cause these events are far too dim to be seen directly, but instead were detected by the way their gravitational field amplifies light from a distant background star in the huge central bulge of our galaxy. Microlensing has been used before to search for low-mass objects in the disk and halo of our galaxy, but Hubble's sharp vision is essential to probe the interiors of globular clusters further. In addition to the microlensing event caused by the dwarf star, Sahu and his team recorded six even more interesting, unexpectedly brief events where a background star jumped in brightness by as much as a factor of two for less than 20 hours before dropping back to normal brightness. This means that the microlensing object must have been much smaller than a normal star. These microlensing events were unusually brief, indicating that the mass of the intervening object could be as little as 80 times that of Earth. So what are they? Theoretically they might be planets that were gravitationally torn away from parent stars in the cluster. However, they are estimated to make up as much as 10 percent of the cluster's mass — too numerous to be wandering, "orphaned" planets. The results are so surprising, the astronomers caution that these preliminary observations must be confirmed by follow-up Hubble observations. If verified, these dark denizens could yield new insights about how stars and planets formed in the early universe. "Hubble's excellent sharpness allowed us to make this remarkable new type of observation, successfully demonstrating our ability to see very small objects," says Sahu. "This holds tremendous potential for further searches for dark, low-mass objects." "Since we know that globular clusters like M22 are very old, this result opens new and exciting opportunities for the discovery and study of planet-like objects that formed in the early universe," adds co-investigator Nino Panagia (European Space Agency and Space Telescope Science Institute). "This initial observation shows that our microlensing method works beautifully," states co-investigator Mario Livio (Space Telescope Science Institute). As microlensing events are brief, unpredictable and rare, astronomers improve their chances of observing one by looking at many stars at once — much like a person buying several lottery tickets at once. Most microlensing searches have been aimed at the central bulge of our galaxy or out towards the Magellanic Clouds — the densest observable regions of stars in the sky. In general these surveys cover areas of sky larger than the full Moon and look for foreground objects lying somewhere between us and the background population of stars. Sahu and his team took advantage of Hubble's superb resolution and narrow field of view to aim the telescope directly through the center of a globular star cluster lying between Earth and the galactic bulge. 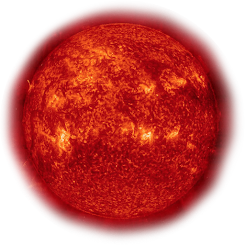 This gave the team a very dense stellar region to probe for drifting low-mass foreground objects and a very rich background field of stars to be lensed. 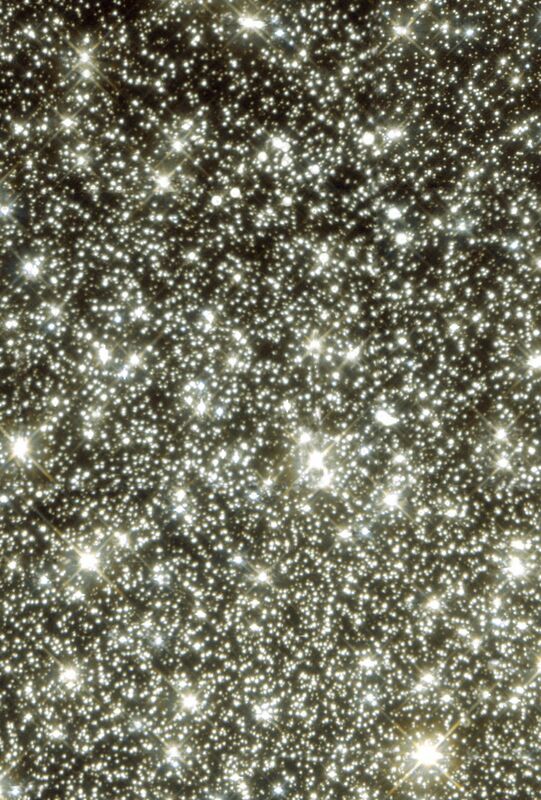 Only Hubble's resolution is sharp enough to actually peer through the crowded center of the cluster and see the far more distant stars in the galactic bulge. As the lensing objects were part of the cluster, the astronomers also had an accurate distance (8,500 light-years) and velocity for these objects. In a normal lensing event, a background star brightens and dims for a length of time depending on the mass of the lensing body. The short, "spurious" events seen by the team are shorter than the interval between the Hubble observations, leading to an upper estimate for the mass of an object of one quarter Jupiter's mass. To confirm these extraordinary, but tentative results, Sahu and colleagues next plan to monitor the center of the globular cluster continuously over a seven-day interval. They expect to detect 10 to 25 short-duration microlensing events, which will be well-sampled enough to yield direct measurements of the true masses of the small bodies.